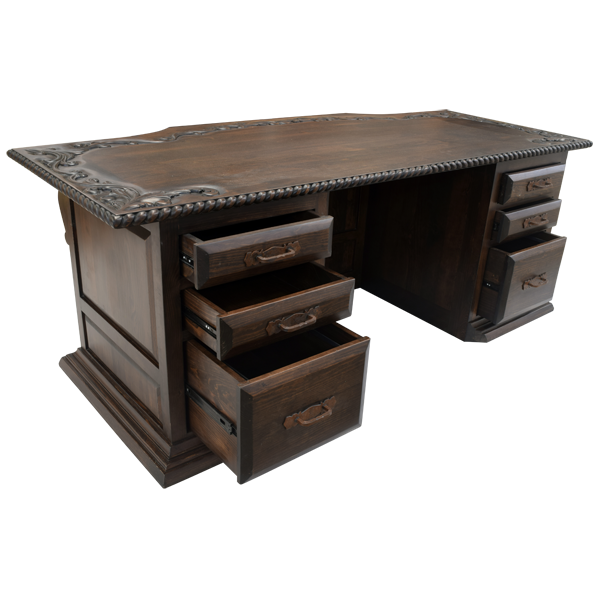 As its name suggest, the handcrafted, Western style desk will provide a luxurious and opulent look to your office décor. 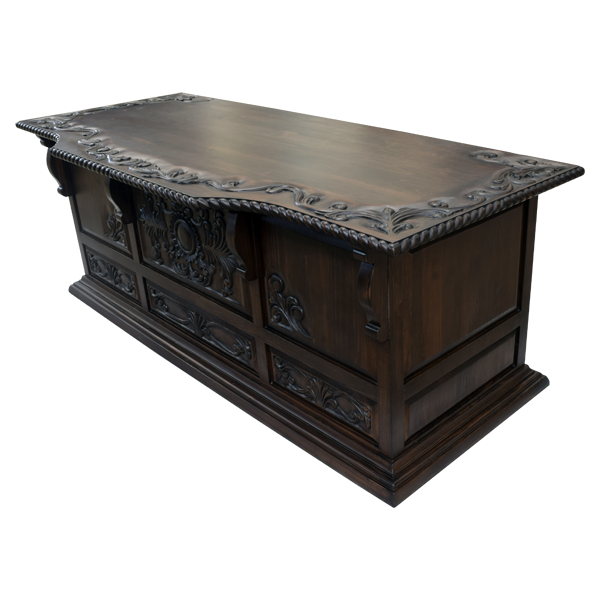 The front and the sides of the bowed top of the desk are adorned with exquisite, hand carved, floral and scroll designs, and its top rim is embellished with a hand carved, twist rope design. 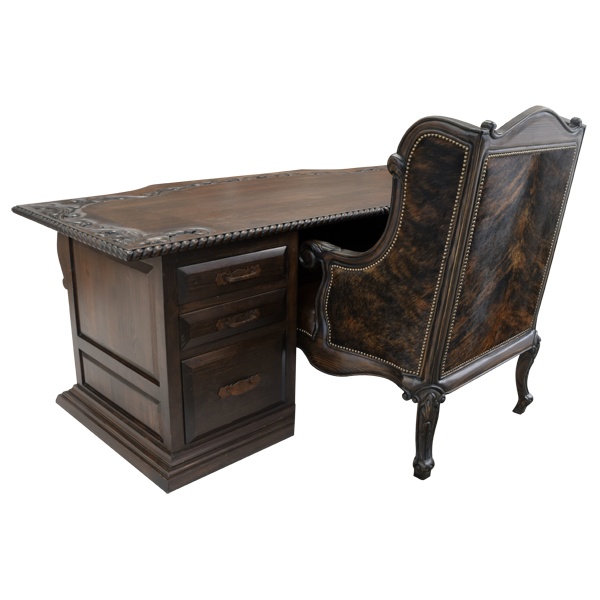 The desk has a keyhole design, and on each side of the desk are three drawers, with the bottom drawers being the largest. Centered in each drawer is a hand forged, iron handle. 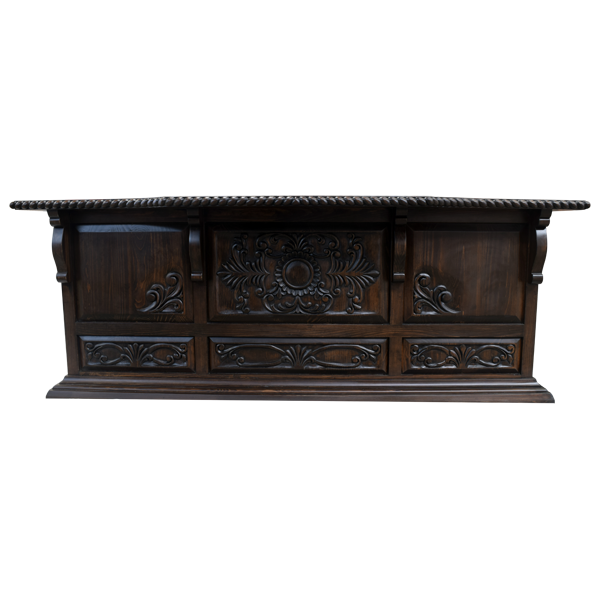 The front of the desk has rectangular panels, and the panels have hand carved, floral and scroll designs, and each rectangular panel is separated by solid wood uprights with hand carved details. Each side of the desk has two, rectangular panels. 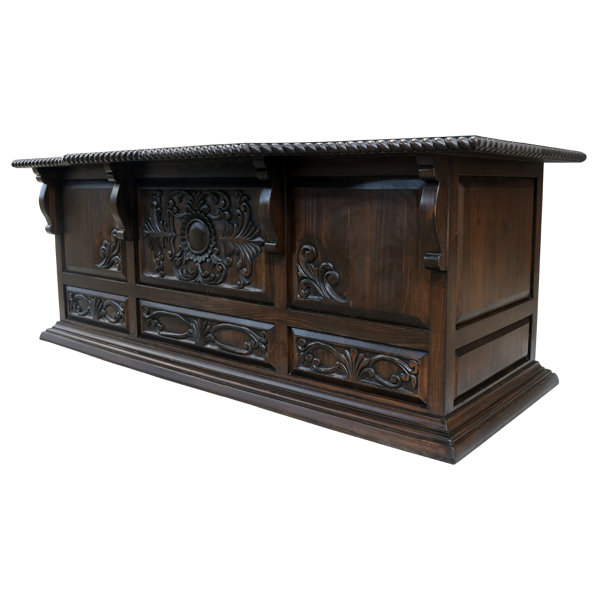 The desk rest on a solid wood molding base, and there are spectacular, hand carved, floral and scroll designs directly above the base. 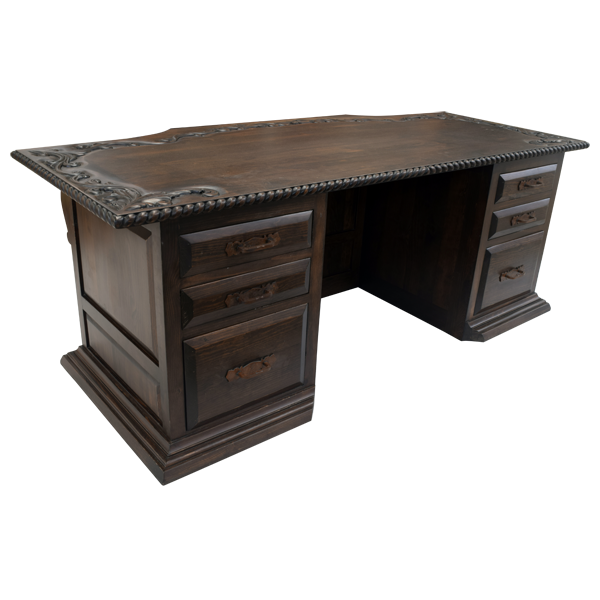 Finished with brown, antique stain, the desk is made with the best, sustainable solid wood available. It is 100% customizable.